Today was the final day (Day #7) of Chocolate and Cashew Theme Week, and Day #1 of Chocolate and Quinoa Theme Week. 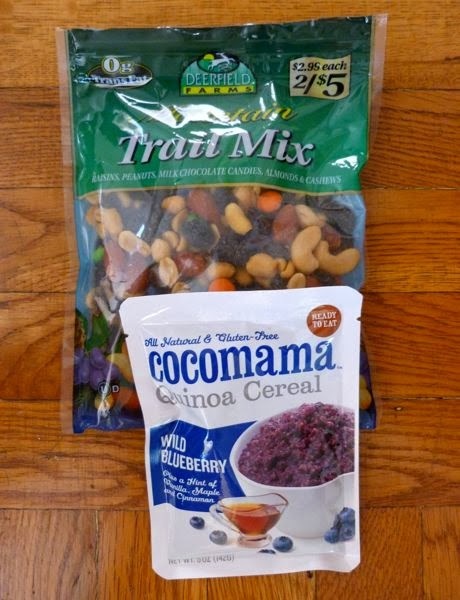 Since I was in eating-chocolate-for-breakfast mode this morning, I added a scoop of today's Deerfield Farms Mountain Trail Mix from Walgreens (Deerfield, IL) to a single-serving sized pouch of gluten-free, wild blueberry quinoa cereal from cocomama. 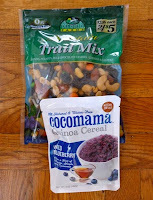 The Mountain Trail Mix contained raisins, peanuts, chocolate candies, cashews and almonds. 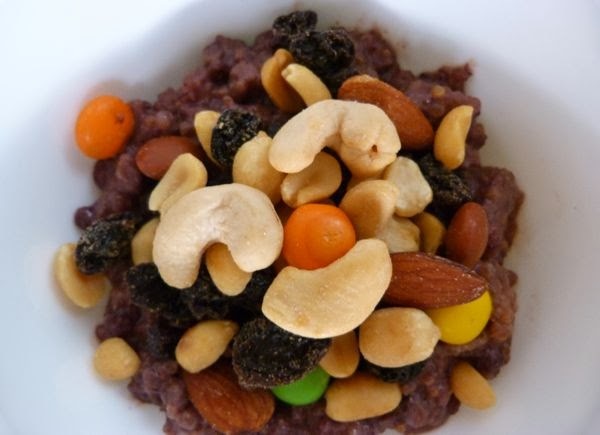 And, I also added a few extra cashews to today's portion. All this made for a very festively colored bowl of cereal. I enjoyed the nut and fruit flavors together with the chocolate highlights.